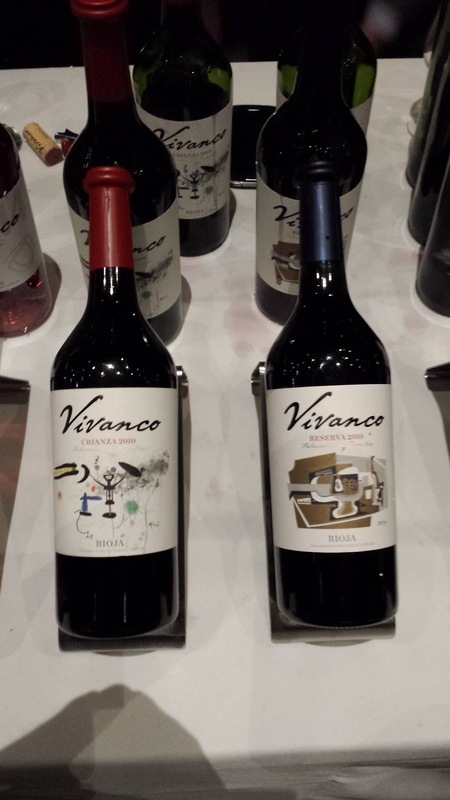 The Vivanco Crianza on the right offered delightful oak notes and was again sweet, yet smooth. 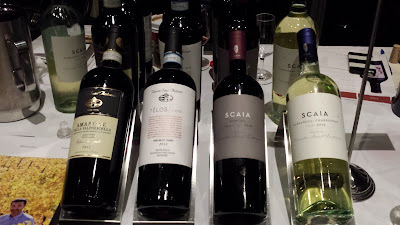 Its cousin, the Reserva (left) presented an altogether more complex character and dryer. 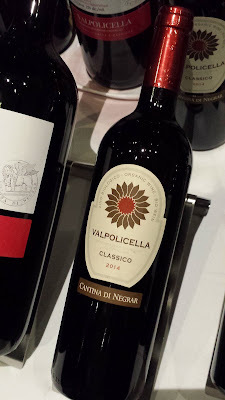 One of the few organic wines was this Valpolicella Bio by Cantina di Negrar ($21.95) which boasted scintillating chocolate notes. 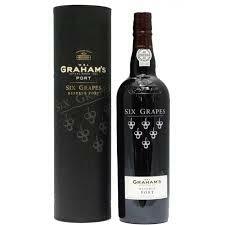 The lone port table boasted the superb Graham's Six Grapes Port ($22.95), featuring a dark, red appearance like wine and distinct chocolate notes. It was noticeably dryer than its 10- and 20-year-old counterparts. Overall enjoyable. The lone non-wine table showcased single malt whisky by Dalmore, whose 12 Year Old ($89.95) was the best, informed by sherry notes. 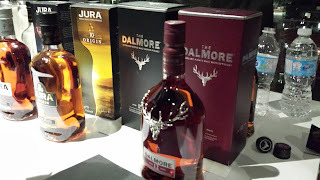 However, Dalmore is not for palates who like their Scotches smoky. I actually preferred this Scotch to their 15 Year Old ($130.25) which I found lighter and less complex.